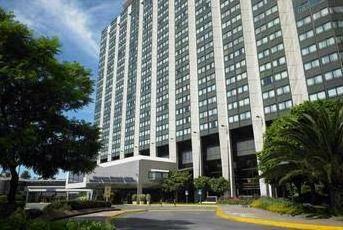 When would you like to stay in hotel Sheraton Buenos Aires Hotel & Convention Center? A buffet breakfast can be served in the rooms. El Ajibe Restaurant serves international dishes, whereas the Cardinale Restaurant specializes in Italian cuisine. There is also a lobby bar offering fine drink and piano concerts. Main advantages: This Hotel have a good location, near to city famous point like Calle Florida and Porto Madero. The restaurant ( the smaller) was very nice, with good and well elaborated foods. Main advantages: The location of hotel, the gym and complimentary internet in lobby. We have included all charges and information provided to us by Sheraton Buenos Aires Hotel & Convention Center. However, charges can vary, for example, based on length of stay or the room you book.